The consultation closes on 6 June 2018. The consultation follows complaints from town centre residents, organisations and businesses about hazardous and inconsiderate parking on Castle Square and Market Square. The councils say that residents are being blocked in. Access for ambulance and fire engines is being blocked. Visitors cannot use the benches. They complain that festivals, cultural events and street trading are being disrupted. It is a long list of complaints which is in danger of leading to an overly heavy handed response. The councils are now consulting “all town centre users”, which in my view is pretty much the whole town, as well as visitors, shoppers and motorcyclists. This consultation is being carried out without considering the bigger picture of changes in parking across the town centre. Parking on-street in Red Zone the will be charged until 8pm, at a rate of £1.80 an hour. 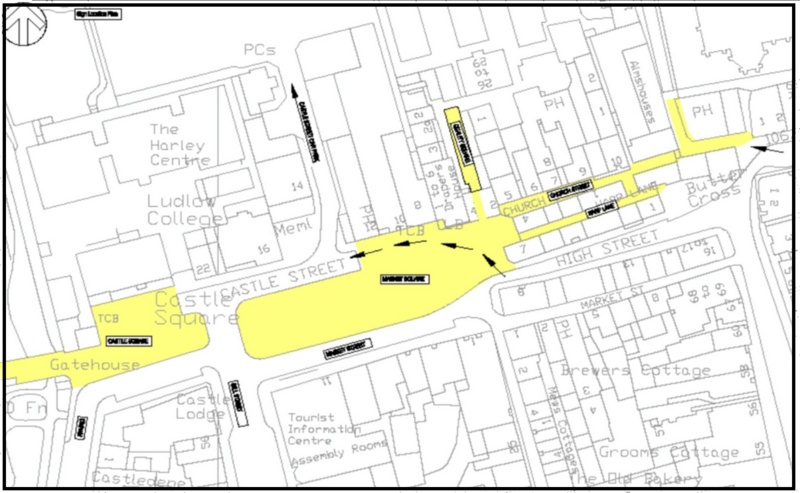 Castle Street car park will be free after 6pm but will become long stay. It will cost £1 an hour. Market trader’s vans will no longer get a concessionary rate in the Castle Street car park. The cost of on street permits for construction workers will increase. Pop and shop will be reduced to five minutes. The councils point out that car parks are free of charge from 6pm daily. The truth is that the only way to create more motorcycle spaces is to take out car parking or disable bays. I have no problems with parking restrictions on Market Square and Castle Square. We unitary councillors have been calling for a scheme to be put in place for years. We have been particularly concerned about parked vehicles blocking or restricting access to Quality Square. So, I am not against these proposals in principle. But I don’t think this scheme is well enough thought through. It is not joined up with other changes happening in the town. I’d encourage everyone to respond to this consultation. So.. which council has said what? “ visitors are getting a poor impression of our beautiful town”. That is assuming they hadn’t already got one as they drove past the two barren roundabouts on the edge of the town. It is a poor state of affairs when driving into Kidderminster is more attractive than driving into Ludlow. The verges and roundabouts in Kidderminster are alive with wild flower mix, looking lovely. Ludlow’s two roundabouts get hacked twice a year and, apart from one or two tulips that have survived from wealthier days, the most decoration they get is the odd crisp packet. Would it be possible to organise a community dig? Ludlow en fleur? Consultation implies there is the facility to express your own opinion. A blank ‘comments’ box does not suggest much notice will be taken!